Every business needs a website. We can create a great looking site for you that also gets results. It's web design that works for your business. "After handing over my website management to MyTechGuy.co.nz, my website is looking professional, is properly set up for SEO and Google Analytics – and I am now getting several new enquiries every week! Thanks to Martin from MyTechGuy.co.nz for turning my website from a costly burden into a money-making asset!" We take the time to understand your business needs and marketing goals. Then turn this information into an action plan so you know exactly what you are getting. This is the fun part where we make your site come to life. Throughout the Design, Development and Launch process we keep in touch so you know what to expect and when. We never leave our customers high and dry. Our ongoing Care Plans can continue to look after your site, keep it up to date and working in tip top condition. "Good web design is not just about looks, it's really about the user experience and getting results. A lot of web designers overlook this — we put it top of the list." It starts out with Discovery, where we determine all the great things about your business and what you hope to achieve with your new site. We turn this into an Action Plan, which on your approval leads directly into the Design & Build process. You’ll get to see the design as it takes shape, and of course approve everything before Launch Day. From start to finish you should expect a timeline of around 6 weeks. This can vary depending on how large or complex the new site design is, and how quickly we get any required information from you or approvals to proceed to the next stage. Building a quality website is a significant investment in your business. Done well it will pay you back many, many times over. You should expect to pay around $1,500-$2,000 for a typical small business website design (quality build, mobile friendly, around 5-8 pages, contact form, basic SEO, optimized images etc). A simpler single page site design will be around $800. Larger sites or more complex requirements will of course cost more – but just get in touch here so we can give you a more accurate price. To create a great looking website we will need some images such as your logo and relevant photographs for your business (e.g. premises, staff, products, completed jobs). We will of course help and guide you on this. To create a site that is focussed on getting results we also need to understand your business. So we’ll send you a short list of easy questions to answer about your business, your product or service and who your customers are. You don’t have to be a writer! We just need the raw facts so we can apply our magic to create pages that will make your business website sing. What you need to provide is just one of many important questions to ask a web designer. It helps us understand your needs better and will help you get the website you really want as a result. Yes, we can. Our Care Plans provide high quality hosting for your site, as well as ongoing care and maintenance services to keep your site secure and up to date. It’s like having your own Tech Guy on hand. Will My Site Be Optimized For Google? Yes. Search engine optimization (or SEO) is complex, and often misunderstood. But it all starts with what is on your website. Everything from the structure of your site, the internal linking, the titles used, the body text, the images through to all the technical stuff you don’t see like meta data and schema. We make sure your site is well built, well optimized and properly search engine friendly. When you’re choosing a web designer, this kind of thing should be a standard feature, not an extra. Does My Business Need Be Local To Nelson? We may be based in sunny Nelson, but that doesn’t mean you have to be. We can work with you and your project from anywhere in New Zealand. Don’t worry, we don’t need to have any long unnecessary meetings. We don’t need to have extended phone calls over minor details. In fact most queries will be resolved by quick emails. The whole process from start to finish should only take a few hours of your time in total – even less if you can delegate providing content to a staff member. The short answer is making a website work well across phones, tablets, laptops and desktop computers. This should now be considered a standard basic feature of any website. 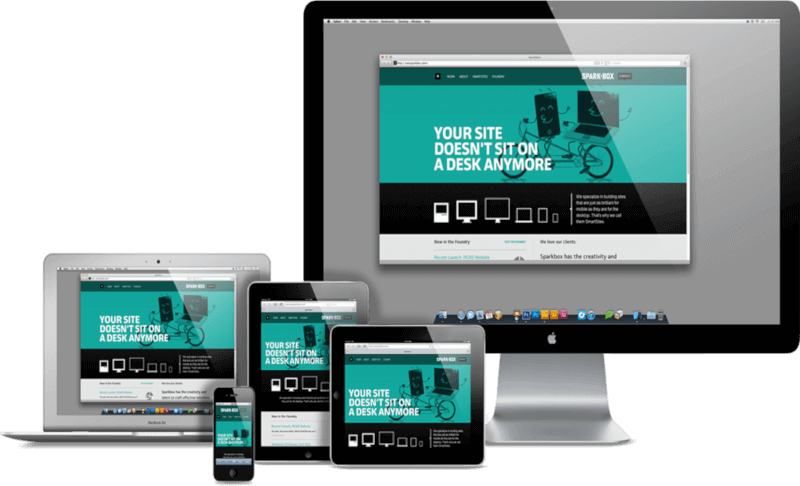 Your new site will of course be designed to look good across all these devices. The longer answer is that it means making a site adapt (or ‘respond’) to the different sizes of screen across the various devices we all use these days to access websites. It may mean certain elements on the screen resize, move or realign themselves to adapt to a smaller or narrower screen space. It may mean the text size or spacings between things automatically adjust to work well for everyone viewing a site. This has been standard design practice for a number of years now, and should not be considered an extra or add-on. A significant percentage of website visits, and revenue, now originates from mobile phones. What Technology Will Be Used To Build My Site? Most of our sites are now built using WordPress. This incredibly popular content management software (CMS) runs 26% of the top 10 million websites. 59.9% of all sites that use a CMS use WordPress. It’s a great choice because it is already used by such a huge percentage of the internet, because it has an extremely high level of technical support and simply because it’s very good. And as a WordPress web designer (amongst other technologies) we can be very confident that it will still be around for many years to come. As WordPress is a complete content management system it also has the added benefit of giving you the ability to update or add content to your site should you wish to. Can You Provide Advanced Features Like Interactive Maps Or Appointment Bookings? Yes, we can provide menus for restaurants, booking and availability calendars for accommodation managers, booking systems for hair or beauty appointments or interactive maps of store locations. Just let us know what you would like to achieve. Will My Site Be Secure (https)? Yes, absolutely. All of our Care Plans include set up and renewal of a secure SSL certificate for your site as part of our hosting service. If you choose to use your own hosting we will help set this up for you, if your web hosting service supports it. We now treat this as a standard feature for all new websites. Search engines such as Google and Bing have stated for years now that they consider this to be important. As have the creators of the most popular web browsers. Over 77% of the web is now https and it is growing fast. It’s simply not optional any longer for any modern website. We use secure certificates provided by LetsEncrypt (as used by 150 million+ websites). These are perfect for most websites. Some ecommerce sites may wish to upgrade to Organisationally Validated (OV) or Extended Validation (EV) certificates. Can You Help With Domain Names? Yes, we can either advise you on choosing and securing an appropriate domain name for your website, or we can simply manage the registration and renewal for you. If you already have an existing domain you can of course continue to use that. Can You Help With Google Analytics? Yes. How your visitors are using your website is important to understanding their needs and the value your website is bringing to your business. We can help you get set up for Google Analytics, install the code for you and help you get useful data out of it.